The SCOBY Hotel is an important resource in every Kombucha brewer’s tool box. Since a healthy Kombucha culture reproduces with each batch, it would be foolhardy not to keep a few around in case mold strikes. Plus, with all the great uses for extra SCOBYs you never know when one will come in handy. So you followed the instructions in our SCOBY Hotel video and made your hotel, but now your SCOBYs have been in there for awhile. What happens next? Can they just hang out in there forever? 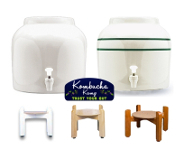 Unlike other more delicate cultures such as milk kefir or water kefir which will disintegrate and disappear if not fed regularly, the Kombucha culture is a very hardy organism and can remain in stasis for extended periods of time. This is in part due to their very protective pH (2.5-3.5). It makes Kombucha one of the safest ferments to brew at home. However, the SCOBY hotel does need to be maintained from time to time. This ensures that the cultures remain viable after weeks, months or even years! As the name implies, the SCOBY is a Symbiotic Culture Of Bacteria and Yeast. Although the bacteria and yeast live in symbiosis, they are also in competition. Our role as brewers is to maintain balance by nurturing the bacteria and removing excess yeast. This same principle applies to the hotel. Perform maintenance on your hotel every 2-6 months or when you observe a build up in yeast to keep your cultures healthy, happy and ready to brew at a moment’s notice. Remember, never store your Kombucha SCOBYs in the fridge as the bacteria may go deeply dormant or perish, leading to flat, weak flavor and usually mold. Yeast are a vital part of the Kombucha fermentation process as they provide carbonation and nutrition for the bacteria (and humans!). They are the brown clumps or strands that hang from the SCOBY and ultimately accumulate on the bottom of the vessel once they’ve completed their life cycle. It is important to remove some of the yeast to prevent the symbiosis from getting out of balance. As always, start with a clean space. Wiping down counters with (Kombucha) vinegar water and using clean towels and utensils is a crucial step to prevent contamination. Remove the cultures from the hotel into a separate bowl or vessel. Cover immediately with a cloth or lid to prevent fruit fly contamination. Now you have potent starter to get new batches going (see below). Reserve a portion of this starter liquid to return to the hotel. Rinse the hotel jar with hot water to remove all traces of yeast from the bottom and sides of the vessel. If it has been a while, a good scrubbing may be needed. 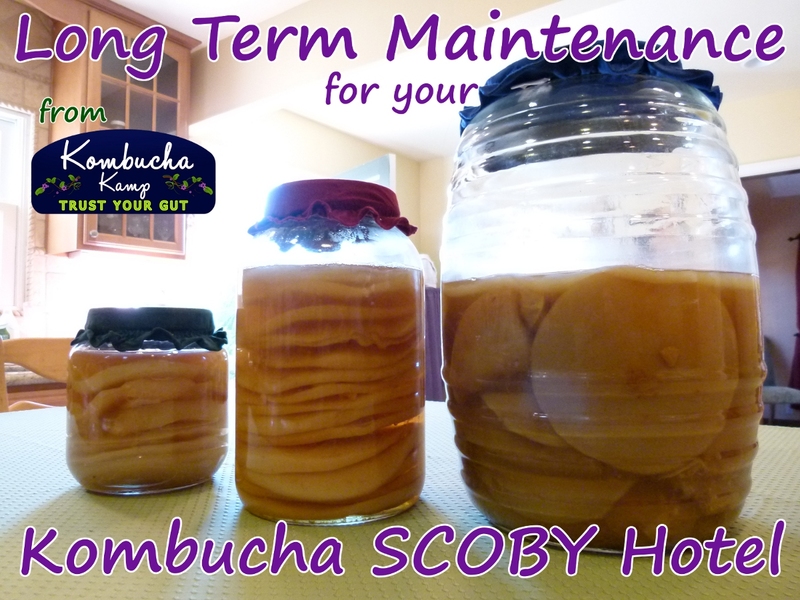 Once you have completed SCOBY Thinning & Trimming (see below), place the SCOBYs back into the hotel jar or use a clean jar. Add fresh sweet tea until the jar is about half full. Then top off with the potent starter to provide a protective pH and prevent mold. The mix of starter to sweet tea should be about 50/50. KKamp does not recommend rinsing the cultures to remove all of the yeast as some yeast is required to obtain carbonation. We simply want to reduce their number to maintain balance. Kombucha loves to GROW! Even in the hotel, a new layer will form across the top. The longer it sits, the thicker the layer. If the SCOBY gets too thick, fresh oxygen cannot reach the liquid below. Thinning or trimming it down to a smaller size will keep the oxygen flowing and prevent stagnation. Remove the thick top layer from the vessel. If you cannot rip it apart, sanitize a pair of scissors or serrated knife with Kombucha vinegar or distilled vinegar. Freshly trimmed pieces of healthy SCOBY culture make excellent bandages for cuts or burns or can be tossed into the blender to make SCOBY face cream. With so many cultures in such a small space, the liquid in the hotel will become super sour. Go on, take a sip or a whiff – I dare you! Kombucha face is guaranteed. One option for maintaining the hotel as you go is to use this sour KT as starter for your batch brews. This is an especially important tip for those batch brewers that prefer a short brewing cycle for their Kombucha. Using starter liquid that is only 5 or 6 days old for one batch is fine – doing that for multiple batches in a row may dilute the strength of the bacteria and result in dominant yeast and off flavor. Consider letting an entire gallon batch go to vinegar, then converting that to your SCOBY Hotel and using 1 – 1.5 cups of liquid from the top of the Hotel as starter liquid for the next batch. You don’t have to add sweet tea back in each time, but after a few batches you will want to replenish the Hotel and give it a chance to convert that sugar, which it will do quickly. 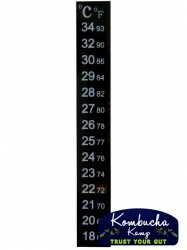 This method allows you to use all of your batch brew at bottling time. Result: more Kombucha to drink (bonus!). Plus, keep your backup SCOBYs happy and ready to go on a moments notice. Some brewers prefer rotating SCOBYs through their batches and Hotel, taking both the starter liquid and a SCOBY from the Hotel for the new batch and returning the previously used SCOBY (and maybe also the new baby) to the Hotel until needed. This creates a dynamic Hotel environment which keeps more cultures vibrant and active. Yet they still get rest periods which may benefit the cultures. have you ever heard of over carbonating with no F2 and a 3 day F1. After i bottle after the 3 day F1 I put directly in the fridge and within 7 days its carbonated and after 2 weeks its well over carbonated and way to foamy. So many factors go into an individual brew that its difficult to know without more information. Typically over foaming is caused by too much yeast and high temps. We’d recommend pulling starter liquid from the top of the brew rather than use what’s left at the bottom of the jar. 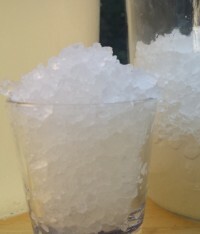 The carbonation page has more details about what to do with too much fizz. I have a question I was storing my scobys in the jar without about 2 cups of my starter tea. I got busy and wasn’t able to start a new batch quickly when I look at me jar it has hardly no starter tea left. What should I do? Thank you for your help in advance. This is a toughy because if the SCOBYs dry out, even if we add starter liquid, they might molder. If at all possible, start a quarter batch of sweet tea and add it to the SCOBYs. Do you have any bottled homebrew around? Even using some of that is preferable to using a commercial brand to prevent the organisms from competing with each other. If you do, add a little to it and see if a new SCOBY forms. Good luck! I am starting Jun soon, should I follow the same steps for a Jun hotel as I would a regular scoby hotel? Yes – the cultures are cousins, so the process is identical. Just make sure you are feeding it raw honey & green tea. Great info! Thanks for your insight! Is there a way to tell if the old gallon jars I’m using is an ‘inappropriate vessel’? I’m worried about lead in the old jars. Use a home lead testing kit like this one to confirm & allay fears. Do I store Kombucha and Jun Scoby’s in separate hotels with their respective teas? Thank you for all the information, as I’ve just started batch brewing my own KT recently. If I want to take a little break, and only have one large SCOBY, can I just leave it with the 1.5 cups of starter liquid in a dark closet for a few weeks to rest? I couldn’t find this answer in the threads here ? Hi Stef – that could work as long as there is enough liquid to fully cover the SCOBY. Hanna I have a 1 gallon glass jar with metal lid That I started a hotel in about 2 years ago. They have been in a very acidic bath of KT from 2 years to 6 months ago, as they’ve accumulated. I made a fresh batch of KT today (it has been several months since I have) and used the scoby from the hotel. They looked really good with nothing off putting smell wise. I also added some of the hotel KT as starter. Does anything seem out of place with this? And how long will a scoby hotel last in a sealed jar bathed in KT vinegar essentially? Hi Nathan -it may be able to last indefinitely. We found over time that having a hard lid on the hotel, while it slowed evaporation, often resulted in “sick yeast”. Basically, whenever we’d open those hotels, a really strong acetone smell from the yeast. They need oxygen in order to stay healthy so we have found the best way to preserve the hotel is to cover with a cloth and allow a new SCOBY to form to act as the “lid”. Temperature for sweet tea ought to be around body temp, so 90F is safe to add! Thanks so much for this very helpful information. I wondered what was going on with my scoby and komucha. Now I know!! And I know what to do next. Hurray!!! This is a great guide on how to maintain your hotel! I have been scared to jump into the deep end on making my on Scoby.. I don’t really think I need to be, but its still sort of a fascinating unknown thing for me. Thanks again for sharing. great site, thank you. Friend gave me her kombucha before she went away with good instructions. I’ve made several brews and love it. Questions: 1) friend said that it’s ready to bottle (with flavours) when it tastes fizzy (using a straw poked under the Scoby to sip up a bit ). Is this correct? It’s not overly tart but it’s definitely fizzy. Should I leave it for longer for better probiotic build up? 2) From a calorific point, how much sugar am I consuming when drinking half a cup (125 ml) or has the Scoby eaten all the sugar (even though it still tastes a bit sweet). 3) another friend commented that drinking Kombucha (or eating other fermented foods) gave her a looser bowel movement. Would that be possible? Why? Hi, I have a question regarding a Scoby hotel I have. I have had a plastic lid on it, outside of the frig, and it keeps forming new, beautiful scobies. The liquid tastes like pure vinegar! Since they haven’t been exposed to the air, are they still good? Definitely still good. We switched away from the plastic lid because if we left it too long and then opened it up – the acetone smell was overwhelming. It forms when there is not enough oxygen for the yeast and they start to “get sick” – those SCOBYs are still recoverable by simply switching to a cloth cover, topping off with fresh sweet tea and giving them some time to air out. Hello Hannah, what is the recipe for the starter liquid? we have recently moved and I have my mother scobi from you and scobi octuplets ready to brew (hah).They have been in the hotel for 4 weeks. Starter liquid is strong Kombucha – you can use the liquid from your SCOBY Hotel for that. I just found my scoby hotel had maggots on top of the baby 🙁 the lid popped up, could have known, I will cover with coffee filter ect ) so I peeled off the baby (everything looked fine underneath) scrubbed out the container really good and put the mother in with some leftover kombucha in my fridge… Do you think it will be fine? Yes – as long as you dispose of the top layer where the fruit fly larvae are living, the lower layers are perfectly safe. I’m confused as to whether the SCOBY hotel goes in the refrigerator, in an airtight container, or does it just need to stay in a dark place, in an airtight container. If either work, is there anything that should be done differently, for one vs. the other? We have found that the best way to store the SCOBY Hotel is at room temperature with a cloth cover. While we used to use a hard lid, we found that over time the yeast would go off if there wasn’t any airflow. Also, if they are left in the fridge for too long, the organisms will go dormant and may or may not revive when you try to use them directly from the fridge. 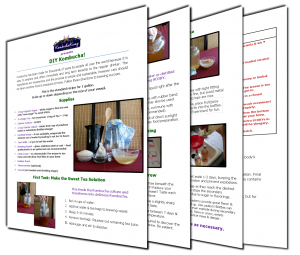 Here are more details, including a video on how to start a SCOBY hotel. I have left my SCOBY hotel for a long time- I mean over a year. I kind of forgot about it and left it in a sealed jar at the back of my pantry. Today I pulled it out and it smells much like nail polish remover. Will I need to throw them all out? To recover them, swap out the hard lid for a cloth cover and top off with sweet tea. That smell is “sick yeast” and once its had a chance to aerate properly, they will recover. Might also be a good time to filter to remove any excess yeast cells. For this reason, we prefer to use a cloth cover on the hotel and to top off with sweet tea from time to time rather than use a hard lid. Starting my SCOBY hotel this weekend. I have about 4 “layers” of baby SCOBY plus the original Mother. 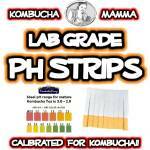 Should I continue to brew Booch with the mother or are the babies more viable since they are a bit wider? Just looking to see who should go into the hotel and who should brew. A typical SCOBY will last for at least 10 brewing cycles, but most prefer to use the offspring as they are more robust. Use whichever looks healthiest to you. I’ve been buying a brand name Kombucha that I love. 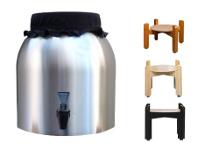 Thinking about ordering a SCOBY brewing my own. I want to flavor with raspberries. I also want to add chia seed. Do you have any idea how much chia and when to add it? I’m thinking that I will likely want to strain the rasperries off and then add the chia last to the 480 ml bottles. Straining won’t ruin the Kombucha, will it? Straining Kombucha is perfectly fine. The chia seeds need to be made into a gel first by 1 tablespoon to 1/4 cup of water, Kombucha or juice. After 20 minutes or so, they will create a thick gel that is then added to the Kombucha. 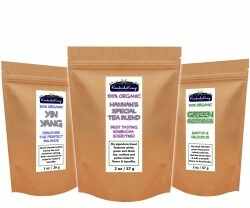 We recommend consuming chia Kombucha immediately as it does not hold up the same as other flavors. You can grab chia seeds for your Kombucha here. i have just started brewing and my Scoby was in the fridge for two days accidentally (someone thought it needed to be refrigerated), I brewed the tea as instruction and thought the Scoby was suppose to rise to the top in a few hours – it’s been nearly a day and I have not seen it ;( is it ruined??? Sink or float – it doesn’t matter where in the vessel the mother lives, the new layer will always grow across the top. Provided there is no mold on the brew, then you are good to go! Hi does one store the scobi in a sealed glass jar or just cover with cloth? We have found that cloth covers to better. A new SCOBY will grow in the hotel and act like a “lid.” Keep it topped off with sweet tea or Kombucha to prevent over evaporation. My husband has prostate cancer and he likes plus I think would benefit from drinking kombucha. My daughters have heard it could damage his kidneys and don’t want me to give it to him. He is not sick – is there any health risk? We are not medical doctors and cannot dispense medical advice. Kombucha is a healthy food and many studies in vitro and on mice have shown that it has a protective effect on the liver and kidneys. 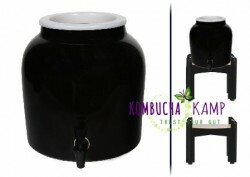 Here is a great article with more info on the current research on Kombucha. My continuous brew is now 2 months old. The kombucha has become very strong and vinegar tasting. I have to mix my glass of kombucha with juice or water in order to drink it. 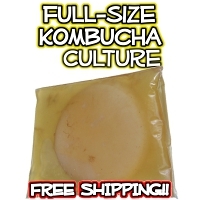 Do I need to clean the yeast out of my booch and thin out my SCOBY to return the booch to a milder brew? The PH of my brew is 3.0. Yes. When the brew sours more quickly than usual – especially in the hotter months – that’s a sign the yeast have overgrown and the vessel needs to be reset. This process is covered in detail in the EZ UpKeep videos. We have been brewing Kombucha for 5 months, we just did our first SCOBY Hotel and our Scoby is very odd. Thick around the sides with hardly no middle. The original Scoby is intact and that is what we are putting back into our continuous brew crock. What is going on? What are we doing wrong? The new culture only grows back to reseal the top so subsequent layers of the CB (or SCOBY Hotel) may only grow in areas exposed to oxygen since so much of the original layer remains at the surface. This is totally normal! Now, the scoby has grown a lot and there is about 1.5 pints of liquid still in the jar. The color of the scoby looks good but the top inch of the scoby is no longer covered by liquid. Can I still use it? What liquid do I add to the jar? Maybe. The only way to know for certain if it will succeed or fail is to brew with it. Typically once the culture is removed from the liquid, it loses its defense mechanisms. As such, we’d advise that you remove the portion that has been out of the liquid and only use the part of the SCOBY that is still submerged to prevent mold from forming. Just recently began brewing KT and enjoy it immensely . Please inform me as to how much yeast to cut off of the bacteria discs. I’ve begun a hotel for my little buddies and don’t want too much of the brown yeast. Please advise how much yeast is too much. Also for the hotel I see posted by you, none of them seem to have “hanging” yeast,and all of them are immersed. It is okay to cut or rip the discs to place in hotel? I just don’t want to hurt the little fellows. Thankyou so very much, as everything you have instructed on is very beneficial . No need to cut the yeast off, simply pull it off with your fingers. The cultures may be cut with scissors or ripped apart to fit in the jar. It doesn’t hurt them and it makes it easier to store them. As for how much is too much yeast, that is hard to say – if you notice that your liquid is cloudy, then it is time to filter it. I have scobys from apple vinegar. Is that the same thing? Those are called MOV or Mother of Vinegar and are created by acetobacter (there are many in the family all of whom produce cellulose). While it may have some similarities in appearance to a Kombucha SCOBY, it will not have the same microbial make up. They can be used to ferment other batches of vinegar but are not recommended for Kombucha as they may produce off flavors. I had been so busy and forgot to check on my mothers. Unfortunately they were dry. Will the sweet tea revive them? I was wondering where to store my SCOBY hotel? Is a pantry suitable or does it have to be in the open, and will other foods like potatoes, onions, apples and other counter produce affect my brew/SCOBY? The hotel may be stored in a cupboard, since we are not using it to ferment Kombucha. We prefer to leave a cloth cover on them so they can build a new layer. Don’t forget to top off with sweet tea from time to time so that the cultures don’t fully dry out. Dear Hannah…I just bought the new Kun…..scoby…and did my first batch with honey…it looks quite different than the regular kombucha…a lot of yeast floating and dark spots on scoby, but I did use very dark honey….it tastes good after 6 days…but will leave it a little longer….can I store it hotel the same way as I do the kombucha scoby? 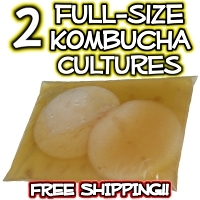 Yes – jun cultures may be stored like Kombucha SCOBYs. I think I messed up. I stored my SCOBY in the fridge for a day before realizing that I wasn’t supposed to. Do I need to throw it away and start over? A few days won’t be enough to hurt it – prolonged storage in the fridge can cause the cultures to go dormant. Get it out and get a’brewing! thanks for sharing I like the info, keep it up. Blessings. I would like to know if I can make a hotel and leave it unattended for 7 months. I would place several SCOBYs in a 2-qt jar with kombucha and cap with a plastic lid. This will be in a very dry environment (stored in our motorhome which will be housed inside a building over the summer in Arizona), so I’m thinking a tight lid would be important. Questions: Would it be better to have more kombucha or less because of the duration? Also would be be better to have a more mature/sour kombucha or freshly made? Is an explosion with a lidded jar a possibility? Explosions are always possible if left in hot conditions with a lid on unattended. Either store in a cool, dry location or use a cloth cover. Add a blend of sweet tea and starter and fill it to the top. A new layer will form which will slow the evaporation process, but it should have enough liquid so it won’t dehydrate. Thanks, Hannah. This is very helpful. Your site is THE go-to place for kombucha. One more question: Will I find a strong fermentation smell when I return 7 months later? The ferment will be strong tasting but the smell won’t be any stronger than usual as the cultures will go into stasis after a prolonged period of no feeding. Can you tell me how to avoid a build up of C02 in my continuous brew. My SCOBY’s have been rising up above the fluid line for the past several months. I have occasionally pushed it down, but when it is paper thin, I like to leave it alone til it is bigger. I also find that when I add the new tea to the vessel, which I ensure is the same recipe and temperature, the SCOBY does not rise to the top immediately and when it does, it floats vertically. Can you tell me what is causing this please? The brew is very good in every other way. When is the last time you cleaned out your brewer? If the SCOBYs are thin and the carbonation is too much, then it could be a case of too much yeast in your brew. 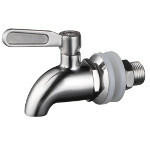 If you’ve recently cleaned it, then a quick poke will push it back into the liquid. My SCOBY hotel has grown a pretty impressive scoby of it’s own. Is it fine to use the new scoby (produced in the ‘hotel’ with some very potent starter tea) for a new batch of kombucha? Yes! As long as the culture is firm and doesn’t easily tear, then it is fine quality to use for fermenting new batches of booch. My SCOBY keeps pushing himself up out of the brew in my just started hotel. He is the first SCOBY in there and there is a lot of liquid for him. Just worried the top is going to mold or dry out. Keep poking it back down. This happens when the CO2 builds up as it will push the SCOBY out of the way. Thanks for this article! I was wondering how I should maintain my SCOBY hotels. I got my original SCOBY from your Kombucha Kamp in October 2012, and my brew is still going strong without any problems! This is a wealth of information!! Easy to understand!!! Thank you so much. I received a scoby purchased through amazon from you, it has some brown stringy stuff attached…is this mold? this is my third try!! on the batch it was recommended to start it by today, and I did that. The brown bits are yeast and are perfectly normal. Mold is always on top of the culture and is FUZZY. Check it out here. Excellent tips Hannah. Learning how to keep the SCOBY hotel happy seems to be key to good brewing. I plan to try rotating the batch/Hotel SCOBY’s and institute a regular schedule of cleanings. Ian. I was unexpectedly given a continuos brew setup, it’s been six months. I’ve used the spigot for exiting KT, and added new into the top. Today I finally dared pull out SCUBY, it was huge! I filled my dehydrator with cut pieces to be treats for my dogs as per your suggestion. My next concern is the SCUBYs. There were two that looked white and young, one back into brew and one to start a hotel. I’m thinking to make two brewing vessels instead,as I have little understanding of the difference for now. Never would have thought I was this excited about playing KT!